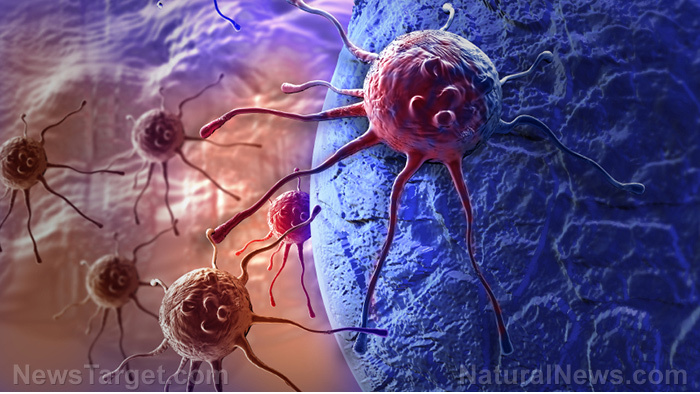 (Natural News) A shocking new report has revealed a sordid truth about yet another one of Big Pharma’s cancer “treatment” concoctions: Lapatinib, used in breast cancer treatment to shrink tumors, actually makes cancer grow faster. There is no shortage of cancer drugs that makes people sicker, instead of healthier, it seems. Lapatanib is typically used in conjunction with other treatments and chemotherapy — but has failed clinical trials as a solo treatment method. Taken together, it’s hard not to ask, why are oncologists even prescribing this poison? The latest research was led by scientists at the Francis Crick Institute in conjunction with King’s College London and Barts Cancer Institute of Queen Mary University of London. And what they found was that lapatinib feeds cancer cell growth in some types of breast cancer, instead of halting it. The researchers say that lapatinib’s potential to cause accelerated cancer growth “may” explain why it did so poorly in clinical trials. While the drug may not always result in expedited cancer growth, the team found that lapatinib’s purported method of action is actually its undoing. As sources explain, lapatinib is what’s known in the cancer industry as a “kinase inhibitor,” and its purpose is to “switch off” a protein called HER2 (human epidermal growth factor receptor 2). HER2 is responsible for encouraging cancer cells to grow and divide. Many cancer treatments (like lapatinib) work by turning off HER2 and thusly, telling cancer cells to stop growing or die. But, as the scientists now know, lapatinib doesn’t tell the cancer cells to die — it actually causes them to grow faster. Using a combination of biochemical, biophysical, and computer modelling tools, the team discovered that lapatinib causes HER2 receptors on cell membranes to pair up with a partner receptor called HER3. When you combine these inhibitor-induced HER2-HER3 pairs with naturally-occurring growth signals from outside of the cell, they can rearrange themselves into an active, signalling pair. In this state, the HER2-HER3 pair becomes very efficient at telling the cells to divide, more so than cells that haven’t been treated with the drug. Essentially, lapatinib causes the cancer-causing protein HER2 to have an even stronger influence on cancer cell growth than it would normally possess. The researchers say that their findings will hopefully guide future research and the development of a “better” drug. However, taking this drug seems to be worse than not treating your cancer at all — so what qualifies as “better” may be debatable. It’s sad to say, but there are many types of conventional cancer treatment that do more harm than good. Chemotherapy and radiation therapy, in particular, are known for their deleterious health effects — yet so many people subject themselves to it, in a last-ditch effort to fight off their cancer. Indeed, the dishonest cancer industrial complex (and the pharmaceutical industry) knows that people will endure just about anything — so long as there’s a light at the end of the tunnel. But when it comes to chemo, that “light” is short-lived. In a study by the Beth Israel Deaconess Medical Center, radiation and chemotherapy treatments that kill tumor cells were found to cause cancerous tumors to grow bigger and more prolific. In fact, the dying cancer cells that chemotherapy set into motion actually trigger the inflammation that causes tumors to grow more aggressively. It seems that hardly any of modern medicine’s “treatments” actually work when it comes to halting cancer (see Cancer.news for more coverage). Nonetheless, you can learn more about natural remedies and other health solutions at AlternativeMedicine.news. Next : Is your fitness tracker making you SICK?